What can art show students about the world? Explore the answers with SAM. 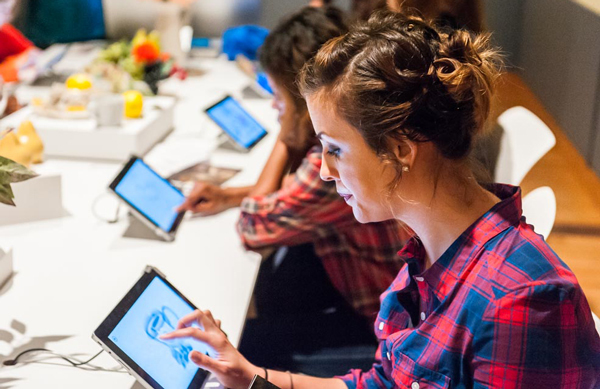 SAM provides creative learning opportunities for students and educators that ignite curiosity, foster critical thinking, and develop environments that are rigorous, inclusive, and collaborative. Aligned with State and Common Core Standards, SAM’s resources and experiences contribute to building a community of lifelong learners. Every learning opportunity can be customized to meet the needs of each student, school, educator, or community. Free and discounted passes may be available for community organizations or colleges and universities. 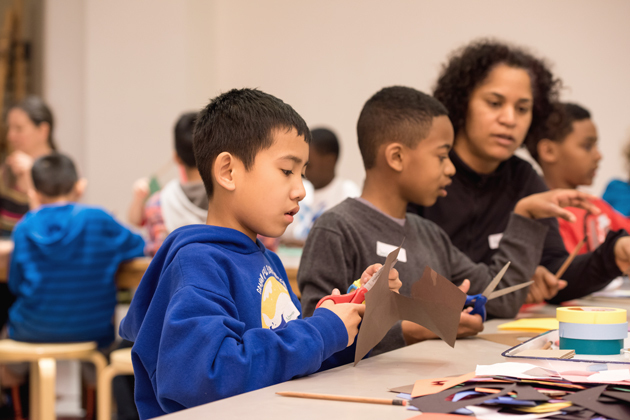 Support for K–12 programs during the 2018–2019 school year is provided by The Foster Foundation, The Freeman Foundation, Nordstrom, Seattle Art Museum Supporters (SAMS), and Wells Fargo. Support for programming with Highline Public Schools is provided by the BNSF Railway Foundation, Grousemont Foundation, and Robert Chinn Foundation. Partial, sustained support for SAM’s K–12 programs is provided by an endowment established in 1999 by a National Endowment for the Humanities challenge grant and the generous contributions of matching donors, including the Ann P. Wyckoff Education Endowment. 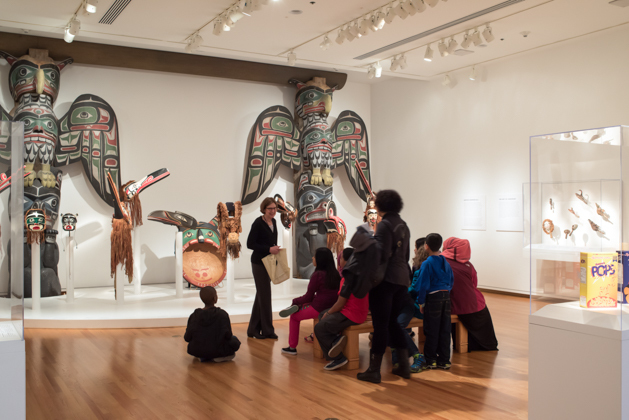 The William Randolph Hearst Endowed Fund for Education Programs at the Seattle Art Museum has supported SAM K–12 programs since 1994. 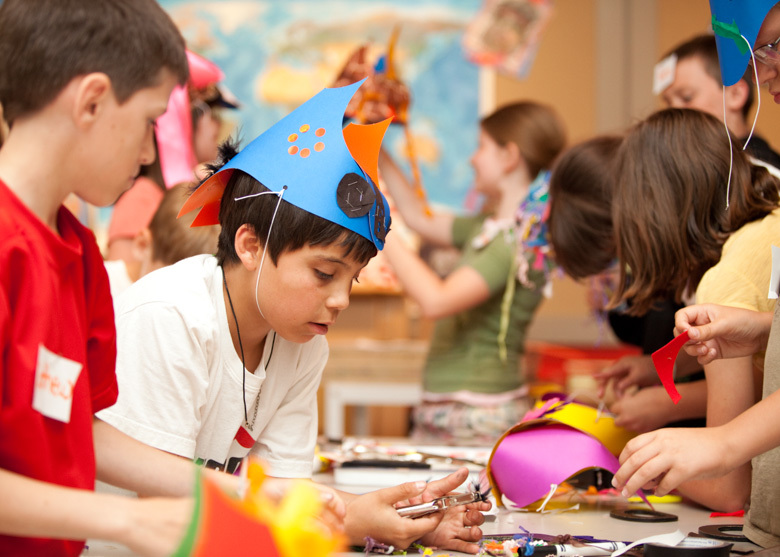 SAM offers programs, both at the museum’s three sites and in the classroom, designed to engage students of all ages in deep looking, critical thinking, and creative art making. Thank you so much for a wonderful day! This was truly one of the most organized and age-appropriate fields trips I have ever taken my class on. I hope I can do it again next year. 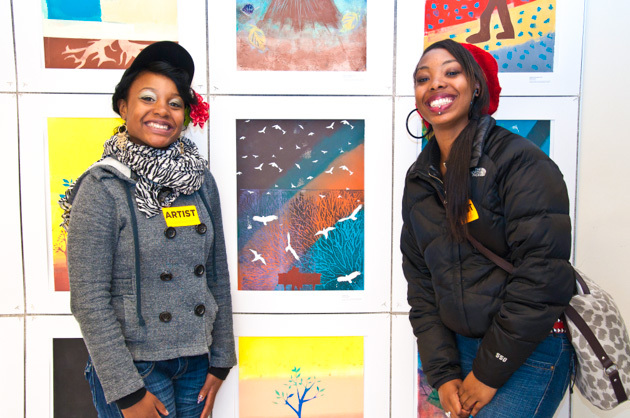 These inspiring, adaptable programs build direct connections between works of art, classroom curriculum, and students’ own experiences and backgrounds. SAM’s school tours are image-focused and inquiry-based experiences for K–12 students. Led by trained guides, they encourage students to look closely, share personal perspectives, and build connections to their own lives and learning. Art workshops give students an opportunity to get creative and work in our art studio alongside professional Teaching Artists. 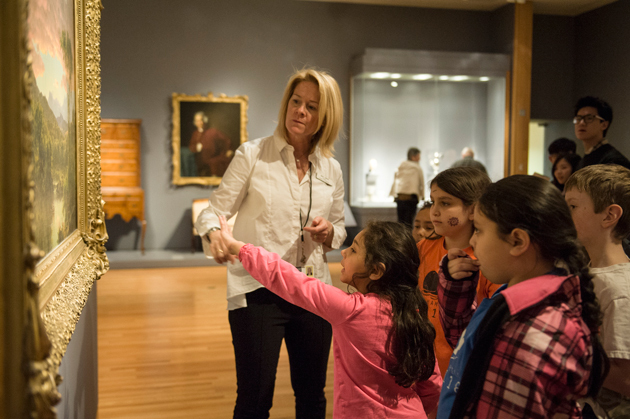 Self-guided visits are for educators who wish to customize their museum experience by leading their own tours through the galleries. Available at all three SAM sites, all self-guided visit groups must register with the museum in advance. Led by SAM Teaching Artists, Art Goes to School engages students in interactive art-making workshops that can be held in conjunction with a museum visit or as a stand-alone creative experience in your classroom. Contact the School Tours Coordinator for requests more than 20 miles away from the museum. SAM wants all students and educators to experience creative learning opportunities, regardless of barriers of cost of transportation. All programs are half-price for schools with 40% or more students on free or reduced-price lunch programs. These schools also qualify for partial bus transportation reimbursement. 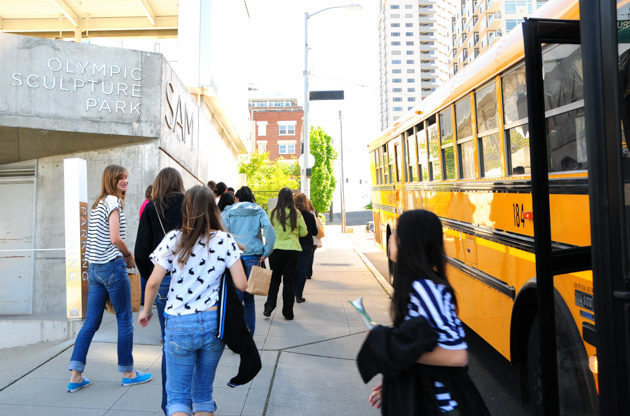 For inquiries regarding subsidized visits in the 2018–2019 school year, please email SAM’s School Tours Coordinator or call 206.654.3183. Educators are at the center of learning and your significant contributions have profound effects on the learning of your students. SAM’s Educator Programs provide teachers with rich opportunities to relate the arts directly to your own lives and the lives of your students. It has been a while since I really spent time to absorb, interpret, and discuss works of art, and I got so much out of bouncing ideas off of fellow educators. This workshop definitely got me thinking about ways of seeing and guiding that inquiry with students. 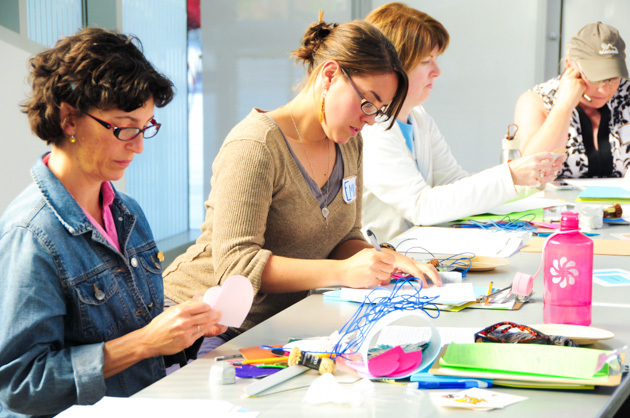 SAM’s professional development workshops offer K–12 educators and administrators techniques and ideas for integrating popular culture, art, and cultural objects into classroom learning. 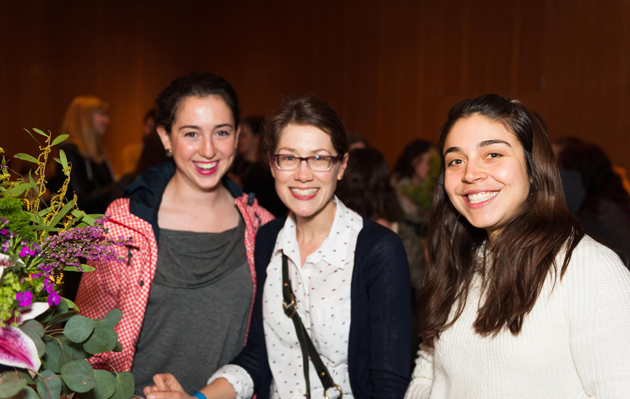 Educators from all subject areas will gain strategies for connecting with SAM’s global collection, special exhibitions, and contemporary world issues. All workshops include free resources and Washington State clock hours. 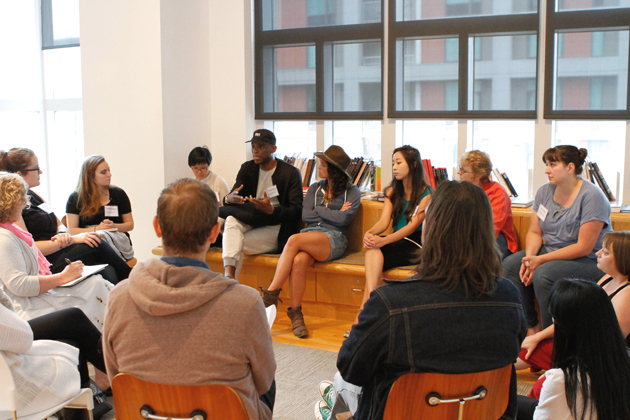 SAM offers customized trainings for groups of educators, held either at the museum or off-site. Workshops include topics such as 21st-century skills, art integration, and cultural competency. 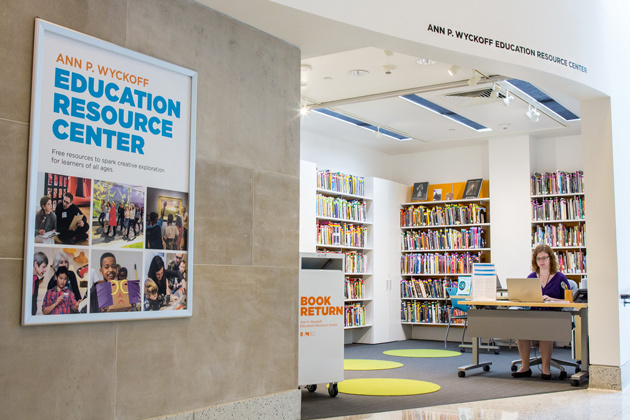 The Ann P. Wyckoff Education Resource Center (ERC), formerly known as the Teacher Resource Center (TRC), has moved to an expanded space at the Seattle Art Museum and is now open! We'll continue to be a free lending library for educators with robust teaching toolkits and over 4,000 resources related to SAM’s global collections. ​​SAM is expanding the role of cultural institutions in K–12 education through advocacy, collaboration, and the development of innovative partnerships and programs. See this work in action and learn how to become a collaborative partner with SAM. Partner schools receive individualized resources designed to foster curiosity, provide professional development for educators, and expand entry points for the school community to grow and learn together. Partnership opportunities may include curricula and resources, professional development for a teaching team or the entire staff, and field trips to one of our three museum sites. SAM’s programs and resources focus on inquiry-based observation and art-making and are designed to support K–12 learning across the curriculum. Equity is at the heart of what we do and we provide visual art based lessons that celebrate student voices, while supporting cultural understanding and social justice. Let us know how we can support you and your students. For information about partnering with SAM, email us. SAM is committed to partnering with all Seattle Public Schools based on the needs of each school. From subsidized field trips to customized teacher professional development to translation services, SAM strives to be ​accessible for​ all SPS students and families. Since the 2000s, SAM has partnered with schools around Seattle to develop arts-integrated lessons for teachers across subject areas. From projects focused on racial equity and environmental justice to Shakespeare, SAM has worked with staff and students to provide arts instruction for hundreds of K–12 students. Through a citywide partnership led by Seattle Public Schools and the Seattle Office of Arts & Culture, the Creative Advantage’s goal is to make quality arts education accessible to every student in SPS, with a focus on lower-income communities and communities of color that have been shown to have less access to arts-learning opportunities. SAM is proud to partner with this initiative to provide professional development training and resources for schools and community organizations. SAM has additionally provided resources, programming, and learning experiences for teachers and students at one of three museum locations and in the classroom through The Creative Advantage Pathways. For more information, visit Creative Advantage Seattle. SAM is proud to partner with the Highline School District to support student learning across grade levels. From specialized field trips for all second graders to Career Day Exploratory Field Trips, SAM is dedicated to fostering creativity, curiosity, and critical thinking skills for all K-12 students. Since the 2000s, SAM has partnered with schools throughout Highline to create arts-integrated lessons for teachers across subject areas. Stemming from school partnerships, SAM has expanded to work with the Highline Community to provide multi-lingual resources, free museum passes to all students, families, and staff members, and busses for families to attend community programming at SAM. Beginning in 2016, SAM created an annual program for all second graders throughout the Highline School District to receive an in-depth exploratory arts program. 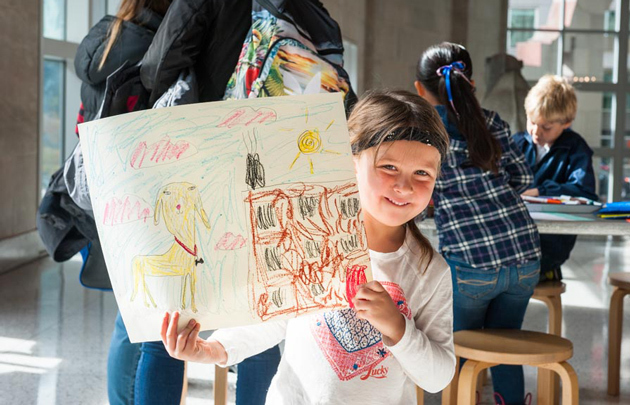 Working with teacher advisors, this program targets the social, emotional, and developmental stages of students while giving them a first-hand experience with art. Teachers receive arts-integration professional development with correlating state and national standards, and strategies to incorporate pre- and post-visit lesson plans into their curriculum. This program is free and includes subsided bussing for all schools.